Bring the magic to the kitchen with this gingerbread castle kit! Fun for the whole family, this beautiful castle is fit for a princess. Kit includes almost everything you need to get started decorating! 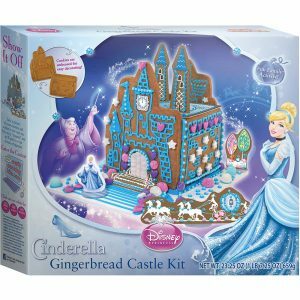 Gingerbread Castle Pieces: Enriched Wheat Flour (Wheat Flour, Niacin, Iron, Thiamine Mononitrate, Riboflavin, Folic Acid, Ascorbic Acid, Amylase), Sugar, Vegetable Oil Shortening (Palm and Modified Palm Oil), Molasses, Spices (Cinnamon, Ginger), Baking Soda, Salt. Ready-to-Use Icing: Confectioners’ Sugar (Sugar, Corn Starch), Water, Vegetable Shortening (Hydrogenated Soybean and/or Cottonseed Oil), Corn Syrup, Food Starch-Modified (Corn), Salt, Mono and Diglycerides, Artificial Flavor, Citric Acid, Polysorbate 60, Potassium Sorbate (Preservative), Blue 1. Gumdrops: Sugar, Corn Syrup, Water, Pectin, Titanium Dioxide Color, Citric Acid, Sodium Citrate, Artificial Flavors, Red 40, Blue 1. Pearl Nonpareils: Sugar, Dextrose, Corn Starch, Gum Arabic, Shellac, Blue 1, Carnauba Wax. Adults: Knead icing pouch for 1 minute to a smooth consistency (figure 1). Remove candies from pouches and set aside for decorating. 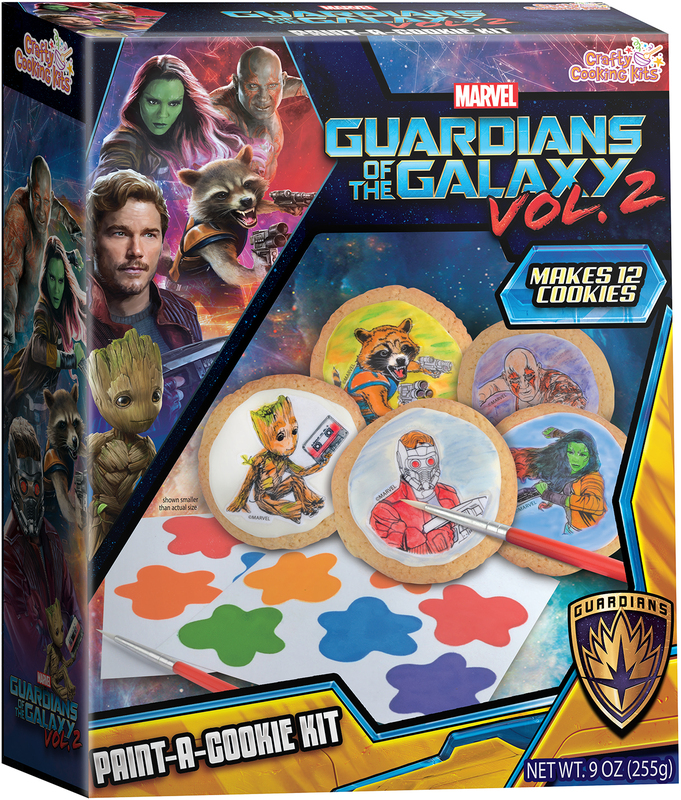 Carefully remove cookie pieces from packaging and lay out on a flat surface with rough sides of cookies facing up. Snip a corner of the icing pouch to a 1/4-inch opening. Adults: Pipe a line of frosting in the channels of the castle platform (figure 2). Squeeze a thick line of icing next to the edge of the front castle panel (figure 3) and insert into the castle platform. Set side walls into channel (figure 4) and press against icing strips on the front panel. Finish castle by icing back edge of back castle panel, set in channel and press against side walls. Allow to set 5 minutes before applying roof. HINT: If cookies crack during construction, use the icing to join broken pieces and let sit 10 minutes before continuing. Apply a line of icing along the top edges of the castle. Gently attach roof cardboard piece and allow to set for 1 minute. Kids: Plan your designs while you wait. 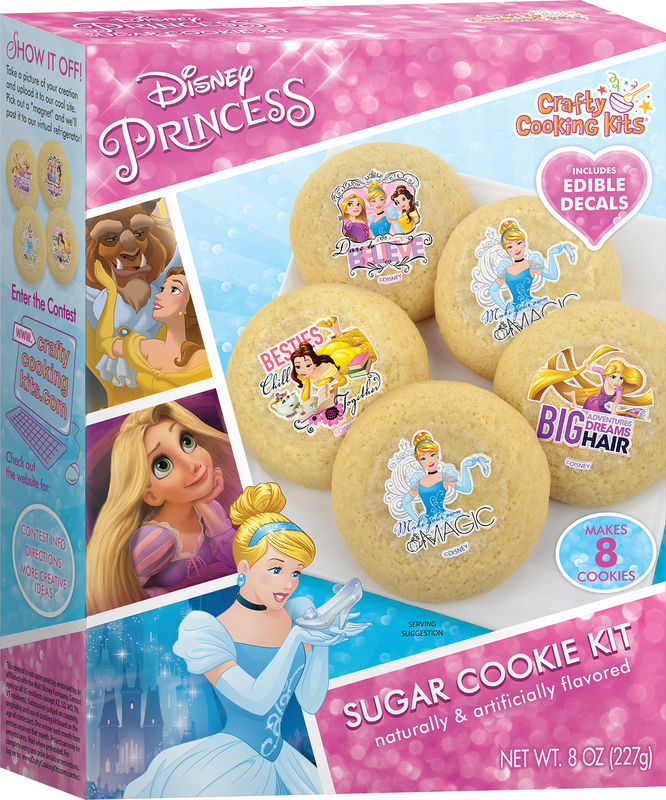 Kids: Carefully trace embossed designs on the cookie pieces. Add piped icing swirls and castle details as desired. HINT: Squeeze some icing into a sandwich bag and snip a small corner for fine detailing. 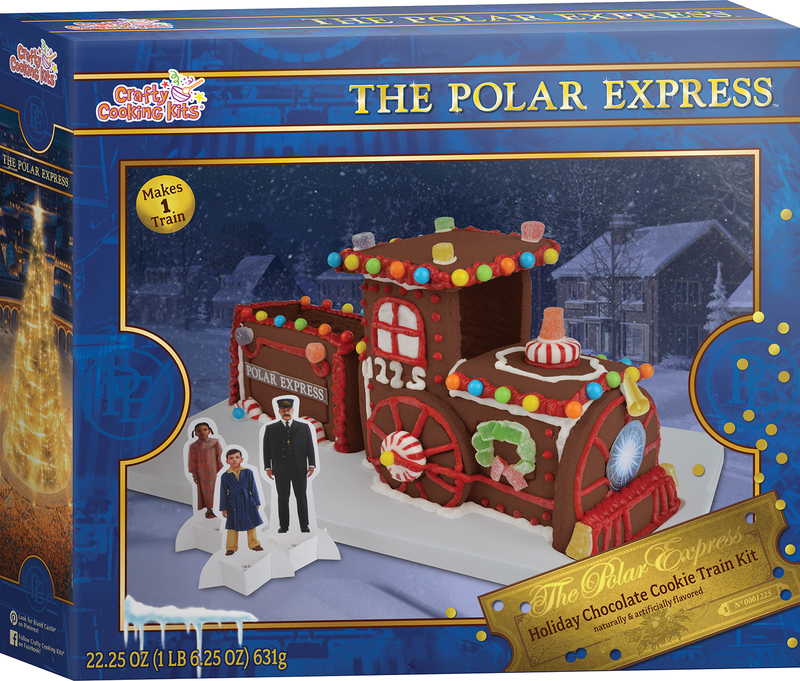 Apply candies, steps, and clock piece using dabs of icing, pressing gently to adhere. The castle platform can be decorated as well! Insert the character pieces into the clear plastic bases and arrange them around the castle. Attach the towers to their interlocking bases. Allow castle to dry completely before moving. Enjoy!